Varun Dhawan and Alia Bhatt made their debut in Karan Johar directorial Student Of The Year. Since their debut, they have starred in three films together including Humpty Sharma Ki Dulhania and Badrinath Ki Dulhania. They are all set for their fourth collaboration which is Abhishek Varman’s upcoming period drama, Kalank. The first teaser of the highly awaited film was unveiled earlier this month in which the two stars create magic in their never-before-seen avatars. Today, Varun Dhawan and Alia Bhatt launched their second song ‘First Class’ which stars Varun and Kiara Advani in a guest appearance. The launch took place at Gaeity Galaxy in Mumbai amid massive fanfare. The actors took over the balcony section where they entertained the awaiting fans. 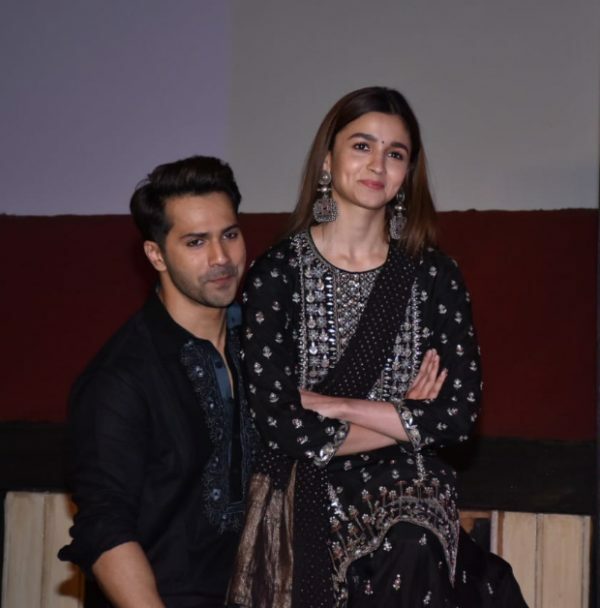 At the launch, Alia Bhatt enthralled the audience with her graceful performance on ‘Ghar More Pardesiya’ whereas Varun set the stage on fire with ‘First Class’ performance. In the end, he lifted Alia in his arms recreating Badrinath Ki Dulhania pose again. Kalank cast includes Aditya Roy Kapur, Sonakshi Sinha, Sanjay Dutt, Madhuri Dixit. 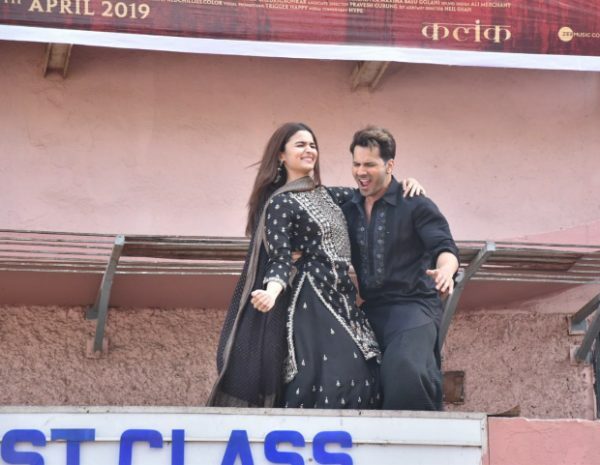 Set in the 1940s, presented by Fox Star Studios, Kalank, produced by Dharma Productions and Nadiadwala Grandson Entertainment, will release on April 17. Adam Sandler Is Suddenly Dressing Age Appropriate!